Jessica Walters has a unique approach to her coaching, which is a result of her background in massage therapy, martial arts, nutrition and aerobics. Her understanding of anatomy and how the muscles work together, coupled with her discipline and study as a third degree black-belt and her love for healthy eating and fitness have all contributed to her coaching. Jessica received a certificate in massage therapy from the Utah College of Massage Therapy. She was among the original instructors when the Arizona School of Massage Therapy opened their doors and taught hundreds of students various modes of massage therapy. She is a third-degree black belt in Ka-ju-ken-bo and has been training in this art since 2002 where she is also an instructor. 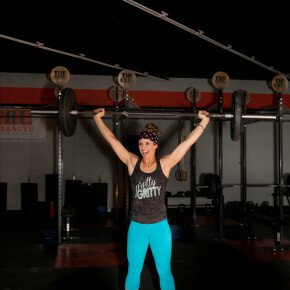 She is a NASM certified Personal Trainer as well as a AFAA certified Group Exercise Instructor and is currently working towards her Crossfit Level Certification as well as a certification in Sports and Fitness Nutrition. Jessica loves to work with and inspire people to find their inner athlete and to improve their health during the process. Her goal is to teach people to train strong, eat clean and live fit. She and her husband, Brandon, are the owners of The Cell Gym in Mesa, AZ.